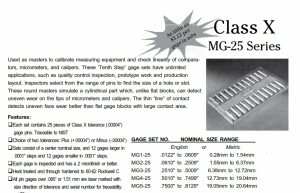 Meyer Gage Pin Gage Class X MG-25 Sets. 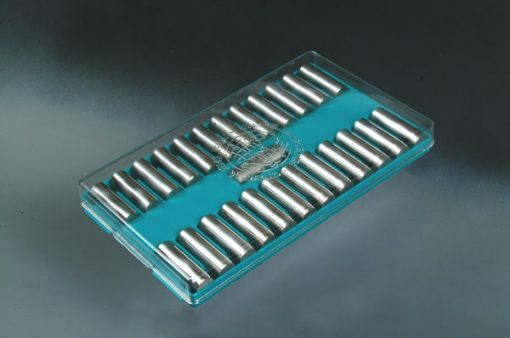 Each set contains 25 pieces of Class X tolerance (.00004”) gage pins. Sets consist of a center nominal size, and 12 gages larger in .0001” steps and 12 gages smaller in .0001” steps. 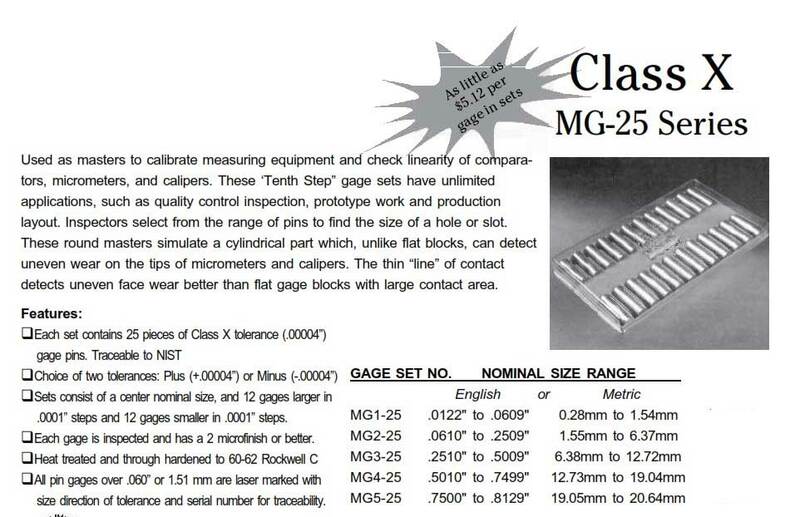 Each gage is inspected and has a 2 microfinish or better.